Note: “Try It” refers to a step in the invention process – testing your product. This post is not an endorsement of any product. A few weeks ago, I was scrolling through my Facebook feed and saw a post about a new product that promised to keep fruits and vegetables fresher longer. Since I do a good part of my food shopping in the summer at farmer’s markets or in the produce section of my local grocery store, I was intrigued. I love all the fresh produce of summer but I get frustrated when I buy things only to have them go off a few days later. 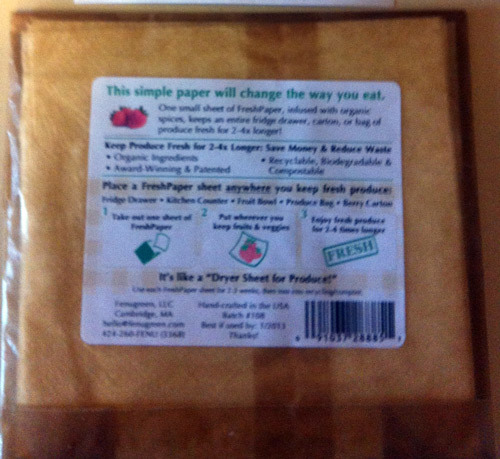 Curious (but skeptical), I clicked on the link and was introduced to Fresh Paper, marketed as “a dryer sheet for produce.” Basically, it’s a small paper towel-like square made of edible, organic, and compostable ingredients that inhibit the growth of bacteria and fungi that make produce rot. According to the article I was reading, you simply place fruits and vegetables on or near the square of Fresh Paper and your produce will stay fresh 2-4 times longer. I loved the sound of this and decided to do a little more research, not only on the product but about who was behind it. I learned that Fresh Paper was invented by Kavita Shukla, a young woman who first had the idea for her invention when she was a middle school student. She was visiting her grandmother in India and accidentally swallowed some water while brushing her teeth. Concerned that the water would make her sick, her grandmother mixed together a tea with the Indian herb fenugreek. Shukla drank the tea and didn’t get sick, and thinking like a true inventor, began to wonder about what else this traditional spice could be used for. Kavita Shukla, inventor of Fresh Paper. Courtesy photo. Watch Shukla explain how she invented Fresh Paper! She began inventing and exploring the world around her at a young age. She didn’t become an inventor as an adult; she has practiced inventive thinking and ‘doing’ skills throughout her life. The invention wasn’t the result of a single “Eureka” moment. The incident in India inspired her, but it took years of study, experimentation, and scientific understanding to take Fresh Paper from idea to market. There were setbacks along the way. Shukla first wanted to start a non-profit to distribute Fresh Paper but with few resources, it was challenging. It wasn’t until years later that the opportunity to work with a partner came along and she was able to take the idea to market. 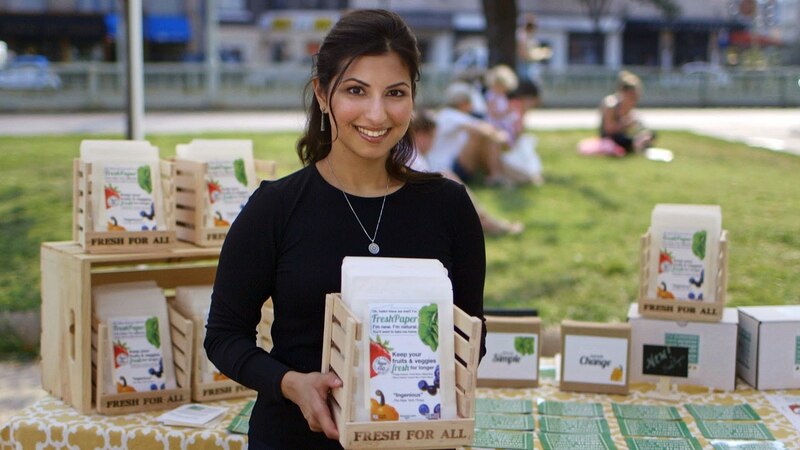 Today, through her company Fenugreen, Shukla sells Fresh Paper to individual consumers and at grocery stores and farmer’s markets throughout the U.S. But she is also thinking about how Fresh Paper can be used to keep produce fresh in food banks and how farmers in the developing world might use the product to extend the life of their crops once picked. As much as 25% of the world’s food supply is lost to spoilage, and Shukla hopes to use Fresh Paper to address this problem. A week ago I received my order of Fresh Paper in the mail. I have been using the sheets with my produce at home and they seem to be working. But more than being satisfied with the product, I am impressed by the young inventor who created it and her vision for using invention to impact and improve the lives of people around the world.